Historically, an inverted yield curve - where long-term rates fall below short-term - has signalled an upcoming recession, as per experts. Stock markets across the globe took a heavy beating on Monday as fears of US recession loomed large among investors after the US 10-year treasury yields fell to the lowest since early 2018 on Friday. The domestic equity market, too, fell prey to the global-sell off, that saw benchmark indices Sensex and Nifty plunging nearly a per cent. Besides, contraction in German manufacturing activity and a slump in the French manufacturing and service sectors added to investors’ nerves. On March 22, the US 10-year treasury yields slipped 10 basis points (bps) to 2.44 per cent, lower than the 2.46 per cent yields on three-month Treasury bills. This development, known as “inversion” in bond market parlance, happened for the first time since 2007 on Friday. Normally, yields of longer-term papers are higher than yields of short term papers, given the risk involved in holding a debt instrument over a longer period of time, taking into account the risk of inflation and other uncertainties such as term premium. So, in normal circumstances, yields of 10-year treasury papers should be more than three-month yields of Treasury bills. Domestic stocks and spreads (10-year Government Securities and three-month Treasury Bills) are not as correlated as in the US. After the spreads dipped into negative, there has been no significant fall in the Nifty even with a lag, show a study by HDFC Securities. 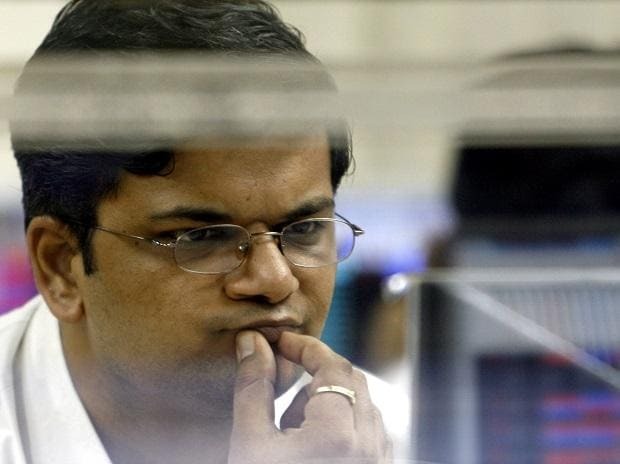 Most D-Street experts believe Indian markets rallied too far too soon and hence, a correction was on the cards and the matter will subside owing to derivatives expiry and upcoming Lok Sabha elections. "We had a sharp up move in the short span, so some profit-booking was clearly on cards. Thus, we advise traders not to get intimidated by this correction, rather construe this as a good buying opportunity. As far as levels are concerned, the support lies in the zone of 11,310 – 11,264 and on the upside, 11,395 followed by 11,434 are now likely to act as immediate hurdles. At this juncture, the ideal strategy would be not to have a contrarian approach and should pick out stocks that are on the move or have corrected at the support levels," said Sameet Chavan (Chief Analyst-Technical and Derivatives) at Angel Broking. Echoing similar views, Jagannadham Thunuguntla, Senior VP and Head of Research (Wealth) at Centrum Broking, said after a breath-taking rally of past 20 days, Indian markets were due for a correction. "The inversion of the bond yield curve has provided the trigger for the same. Going forward, the central banker's reaction to this imminent global slowdown (in terms of easy monetary policy, etc), upcoming corporate results season and political dynamics will hold the key," Thunuguntla added. Jayant Manglik, President - Retail Distribution at Religare Broking, says, "We feel the pressure would subside on the local front, at least in the short run, due to scheduled derivatives expiry and upcoming general elections. Participants should continue with the stock-specific trading approach and suggest maintaining positions on both sides."